← Wooden Spoon Is Now Open at Power Plant Mall! We had an overnight staycation at F1 Hotel Manila last Friday. We decided to have dinner outside F1, however, because hubby and son wanted to try IHOP. We had Big Steak Omelette, New York Cheesecake Pancakes, Grilled Balsamic-Glazed Chicken, Specialty Parmesan Chicken Strips and Funny Face. 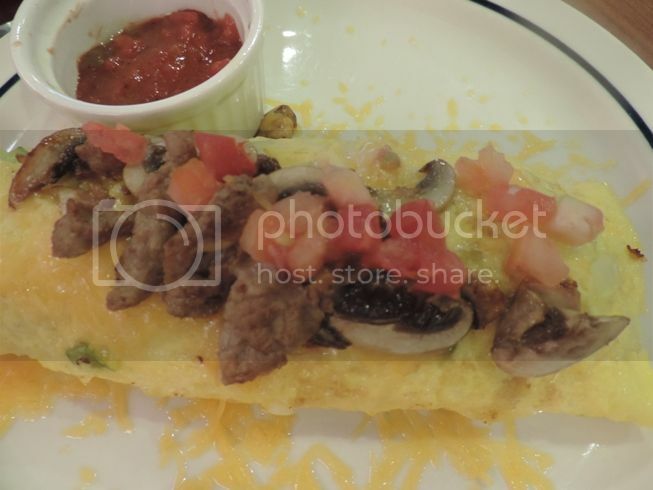 One of my favorites at IHOP is their Big Steak Omelette which has tender strips of steak, hash browns, green peppers, onions, mushrooms, tomatoes and cheese with salsa. However, this wasn’t my order; it was hubby who chose it, and when I asked him how it was, he said it was a bit bland. I told him that’s why there were salt and pepper on our table. Lol! We really enjoyed these buttermilk pancakes with cheesecake pieces and strawberries. You can have a separate order of New York Cheesecake Pancakes for Php285.00, but when you order these with the Big Steak Omelette, then you only have to add Php50.00. Because I wanted something healthy for dinner, I ordered this Grilled Balsamic-Glazed Chicken. 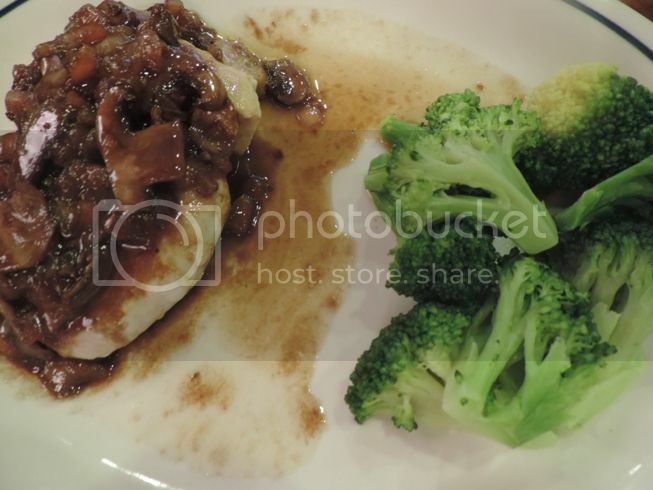 The grilled boneless chicken breast was tender, and what gave it flavor was the combination of sautéed mushrooms, onions, tomatoes and balsamic glaze. It was served with steamed broccoli and a house salad with reduced fat Italian dressing. It was okay. 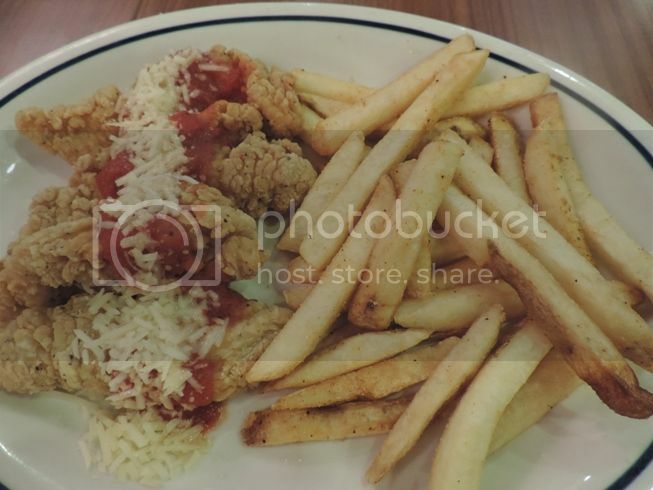 These Specialty Parmesan Chicken Strips were for our young man. These were fried chicken strips with marinara sauce and parmesan cheese, served with seasoned fries. Justin enjoyed the chicken strips but ignored the fries because he said his tummy was already full. I thought my son would like this Funny Face chocolate-chip pancake because it’s really cute, but he only liked how it looked, not how it tasted. I tried it, and I liked it. Perhaps the reason why he didn’t like it much is because it wasn’t sweet. We should have ordered the buttermilk version of this pancake for him instead. I noticed we ordered a lot, no wonder my belly felt heavy when we left IHOP. Lol! 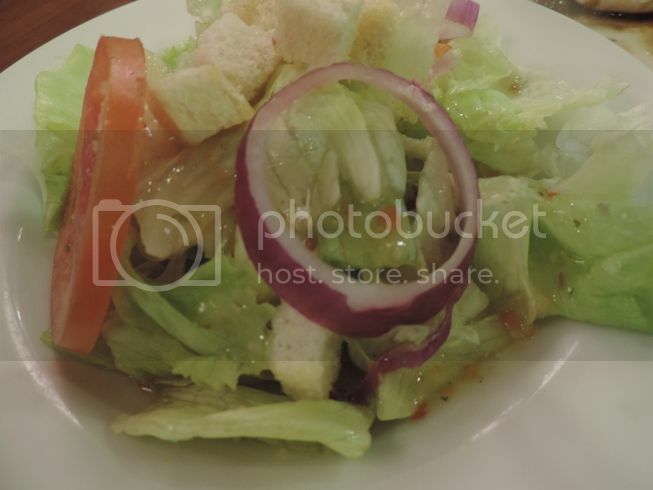 This entry was posted in American Cuisine, Bonifacio Global City, Food Friday, Food Trip Friday, IHOP. Bookmark the permalink. oh my! the pancake looks really yummy! I want to try it too! I love the NY Cheesecake Pancakes. I haven’t been to IHOP in a while, is there still a long line? 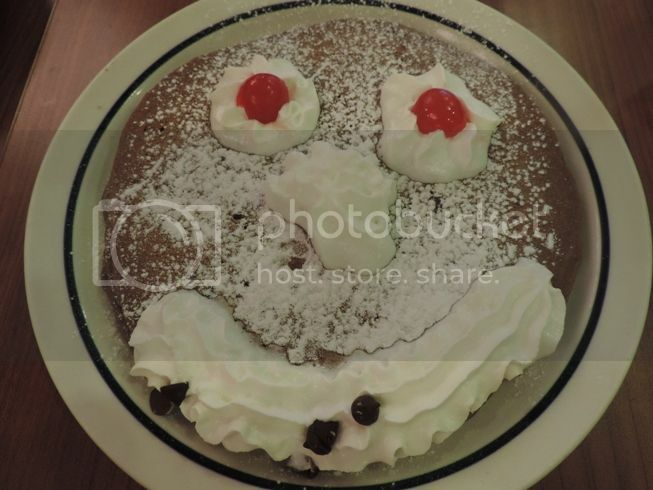 IHop is always jampacked with customers but the wait is worthy because the food are good. 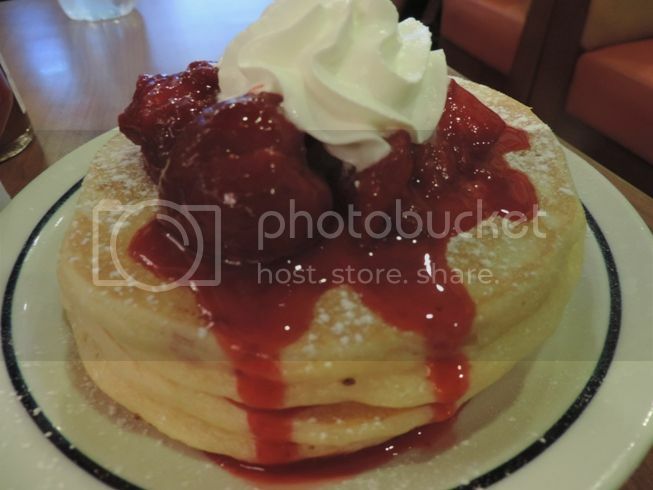 I’ve heard and seen so many diners who enjoys ihop and hope we have one closer in the area I would like to try the foods they serve. Lol on the funny face, it reminds me of squidward. Looks like a great family meal!